The CEOs of the 50 U.S. companies that laid off the most workers between November 2008 and April 2010 were paid $12 million on average in 2009, or 42 percent more than the average across the Standard & Poor&apos;s 500, according to a study by the Institute for Policy Studies, a Washington think tank. Jean-Baptiste-Camille Corot’s 1857-58 “Portrait of a Girl” is missing, according to a lawsuit filed in New York State Supreme Court. And the last man with possession can’t recall where it is after a night of heavy drinking, the suit says. After inspecting the painting, Waterman, the dealer, asked to examine it further with ultraviolet black light, often used for authentication, the suit said. That evening Doyle carried the painting to the midtown bistro Rue 57, where he met Haggerty. Doyle told Haggerty to deliver the artwork to Waterman at the Upper East Side Mark Hotel. From here, the suit says, we rely on security cameras and an investigation by the owners: At 11 p.m., Haggerty leaves the painting at the front desk and enters a hotel bar, followed by Waterman. At 11:30, the two exit the bar and retrieve the painting and put it on a bench. They talk. Waterman leaves. At 11:34, Haggerty returns the painting to the front desk and re- enters the bar. At 12:50 a.m., Haggerty exits the bar and collects the painting from the front desk. He “tumbles out the front door, colliding with the doorman as he is exiting the hotel,” the suit says. At 2:30 a.m., a security camera at Haggerty’s apartment building shows him arriving -- without the Corot. “The next morning, Haggerty informed Doyle that he did not have the painting, and could not recall its whereabouts citing that he had too much to drink the previous evening,” the suit says. The FDIC said 829 of the nation&apos;s roughly 7,800 banks were on its "problem list" at the end of June, up from 775 at the end of the first three months of the year. Already 118 banks have failed this year, well ahead of the pace set last year when 140 were seized by regulators. E Fund Management Co., China’s second-largest asset management company, plans to start the nation’s first officially registered hedge fund after the securities regulator eased rules in July. E Fund will be able to raise money from high-net-worth individuals in separate managed accounts and use the same investment strategies as hedge funds in what the money manager with about 200 billion yuan ($29 billion) in assets says will be the first institutional hedge-fund product in China. The Securities and Exchange Commission on Tuesday warned credit rating agencies that it now had the authority to bring fraud cases over conduct outside the US that has “foresee­able effects” in the country. The US regulator signalled its determination to enforce new rules requiring agencies to have proper internal controls over how investment products are rated. The shot across the bows of the industry came as the SEC dropped a potential fraud action against Moody’s Investors Service, citing “uncertainty” over whether it had jurisdiction to pursue the action in the US. Firms with $1-2 billion or less look particularly vulnerable as they try to meet higher due diligence costs since Madoff, with institutional investors expecting much more. "I think there will be a risk of closures amongst smaller groups -- they are always the most vulnerable," said another industry executive who asked not to be named. Since the marriage rate among Japan&apos;s shrinking population is falling and with many of the country&apos;s remaining lovebirds heading for Hawaii or Australia&apos;s Gold Coast, Atami had to do something. It is trying to attract single men—and their handheld devices. In the first month of the city&apos;s promotional campaign launched July 10, more than 1,500 male fans of the Japanese dating-simulation game LovePlus+ have flocked to Atami for a romantic date with their videogame character girlfriends. The men are real. The girls are cartoon characters on a screen. The trips are actual, can be expensive and aim to re-create the virtual weekend outing featured in the game, a product of Konami Corp. played on Nintendo Co.&apos;s DS videogame system. 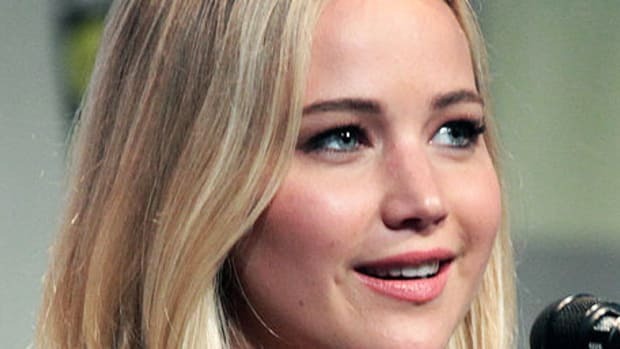 Asian equities desks face the ax; Jennifer Lawrence to play Elizabeth Holmes; Anonymous donor pays $3,456,789 for lunch with Warren Buffett; and more.